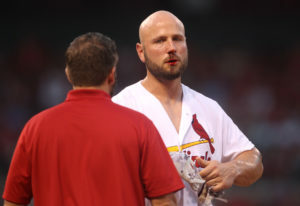 Cardinals outfielder Matt Holliday left Thursday night’s 6-5 win over the San Diego Padres after getting hit on the nose by a pitch. 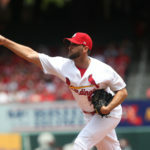 Holliday’s nose was not fractured, but has a scrape by his nose and upper lip. 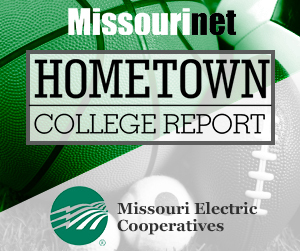 Manager Mike Matheny said Holliday didn’t have any concussion symptoms and he’s listed as day-to-day. (Quick side note). After you watch the pitch, go back and re-watch the video and follow HP ump Chris Guccione. His eyes never leave the track of the ball, he never flinches, never blinks. Catcher Derek Norris isn’t sure where the ball is going, he stabs his glove out to try to catch the ball, blinks and bails away.